Paria Farzaneh, born and raised in England to Iranian parents, is an up and coming star in the fashion world. Her process and style are a balanced blend of her Middle Eastern roots and western upbringing. 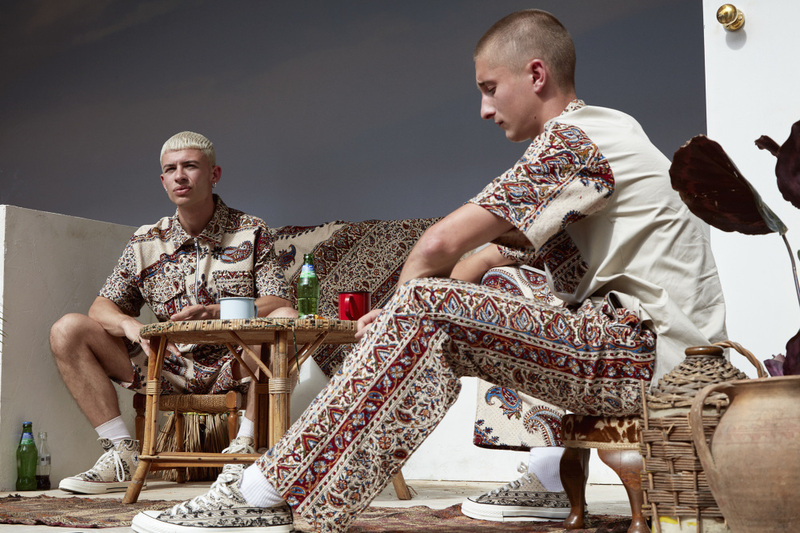 Her menswear line draws its inspiration from Iranian iconography, textiles, and calligraphy, but many of the silhouettes of these pieces are more commonly of the West. Clothes-making has a long history in Farzaneh’s family. Her grandfather was a skilled tailor, making suits from start to finish without patterns. This craft was passed on to her grandmother, her mother, and eventually herself. Growing up, Farzaneh says she remembers her mother making her clothes for her. What separates Farzaneh, however, is that she has expanded her understanding of her family’s craft to a level of artistry and design in addition to function. Now graduated and in her mid-20s, her practice is based out of London. According to Farzaneh, she does not want her clothing to be a political statement, but rather a platform to bring elements of Middle Eastern culture into western view. She uses Persian patterns, calligraphy, and colors to show people that her history and culture is more than what is portrayed in the media. 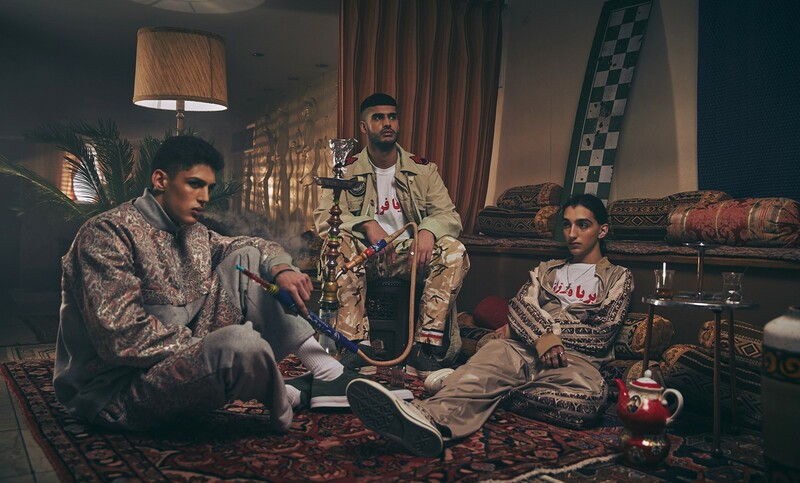 In an interview with Hypebeast, she said “I guess the media always changes the way people see things, I’m just trying to bring back the beauty to the west.” Because of her frequent travels between England and Iran, Farzaneh has translated her understanding of how both social cultures operate into clothing that seamlessly connect the two. The photos included included in this post are from Farzaneh’s 2018 Spring/Summer collection. To explore more of her work, click here to link to her website.